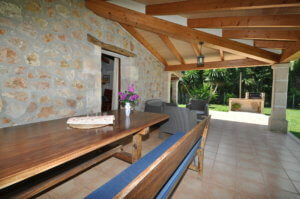 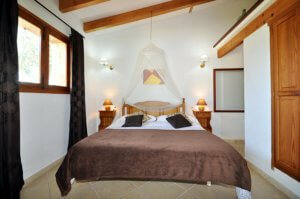 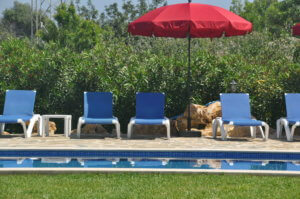 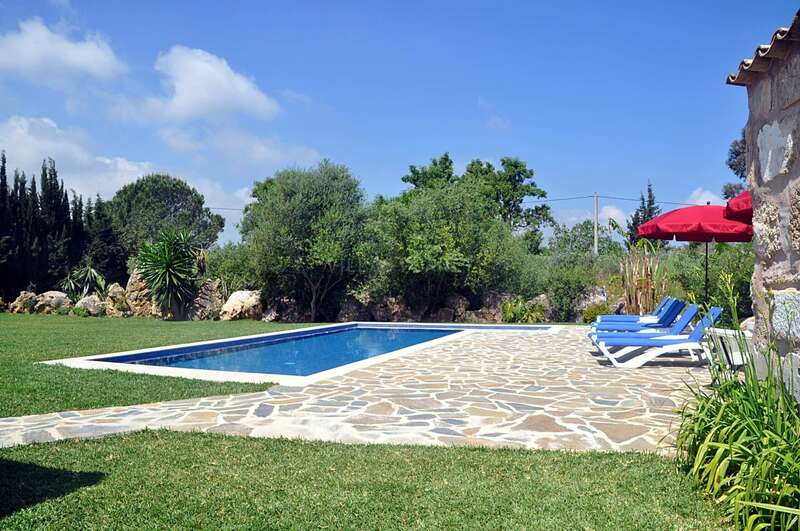 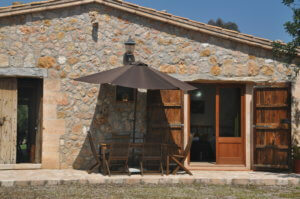 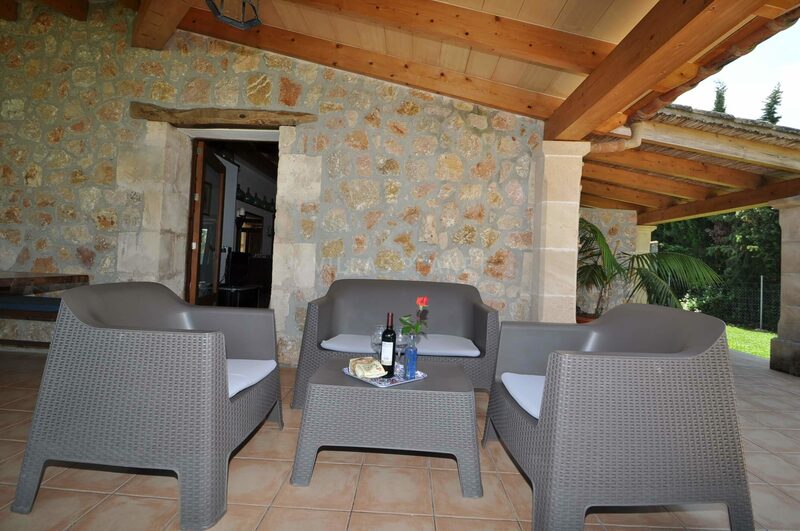 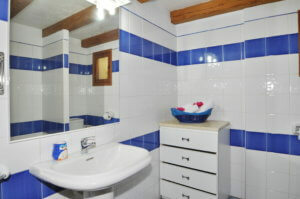 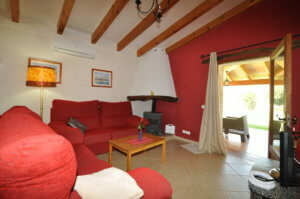 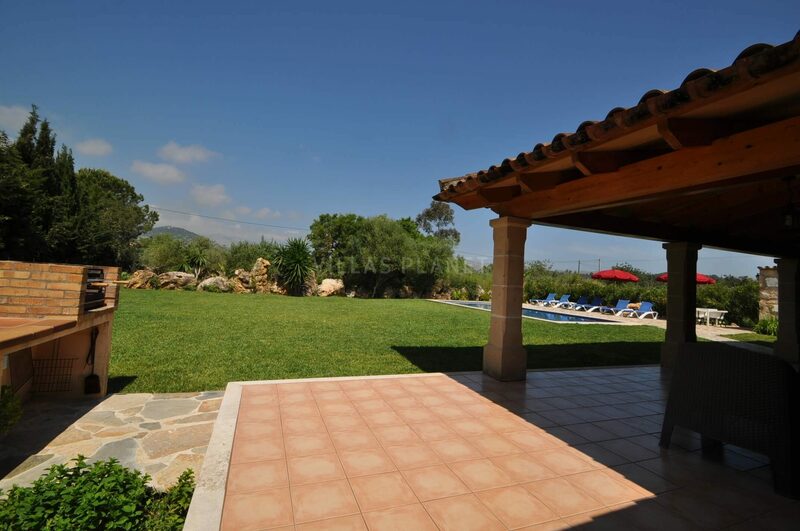 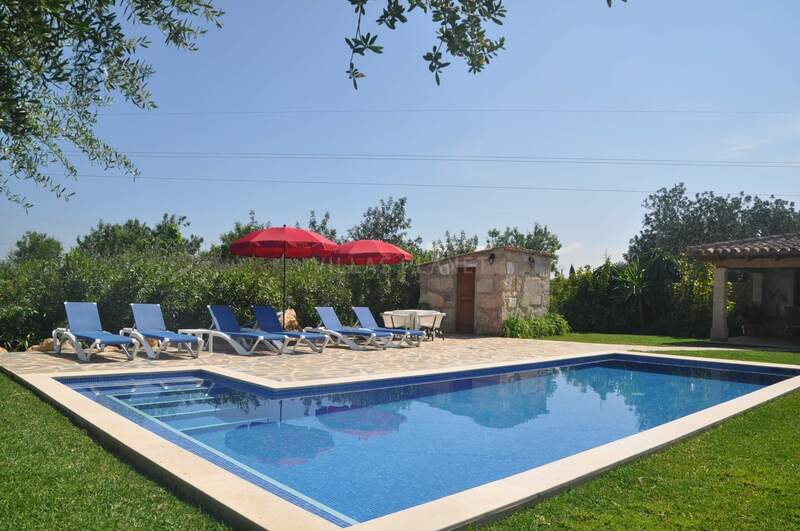 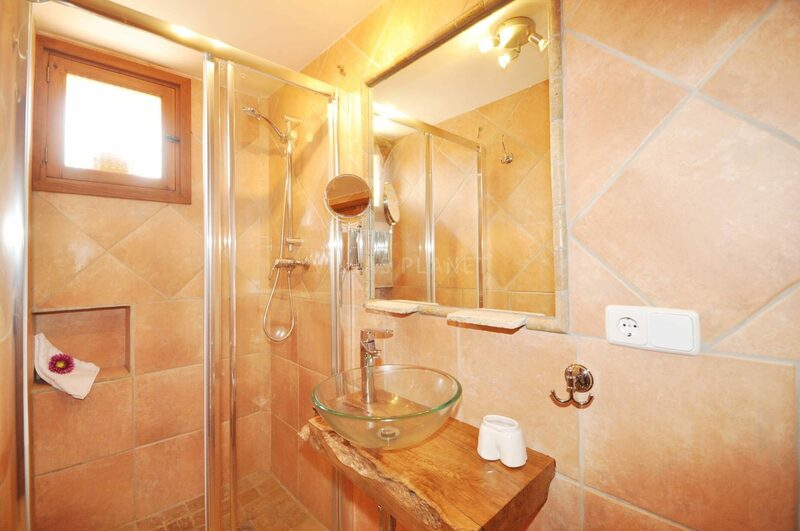 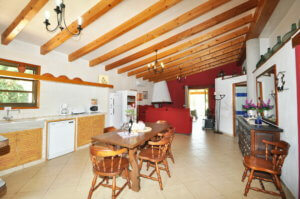 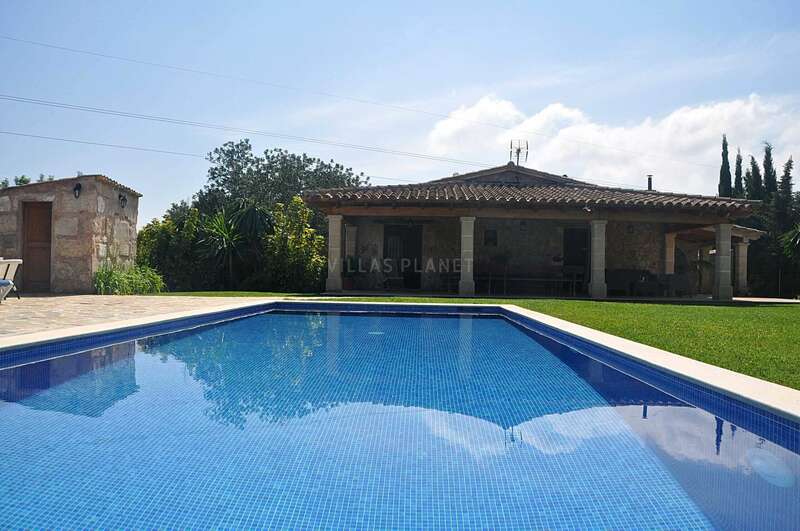 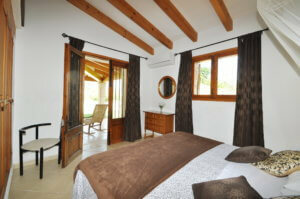 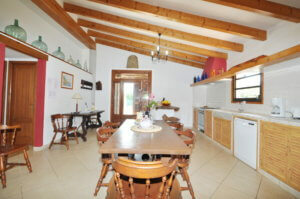 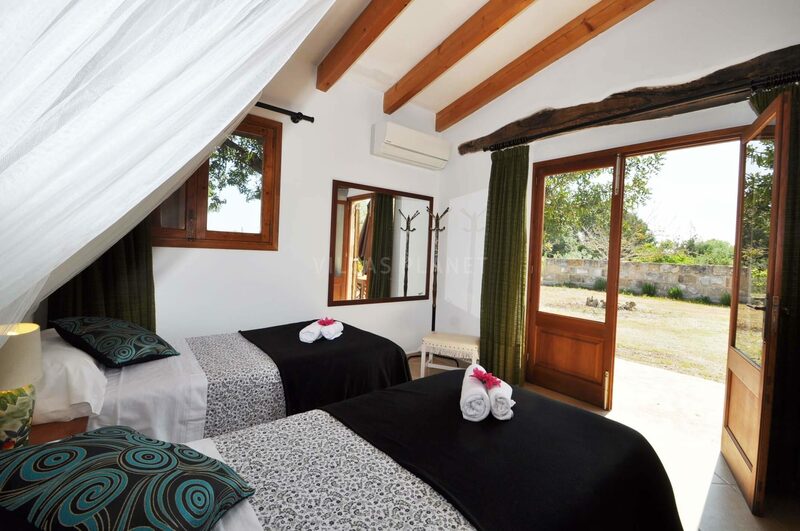 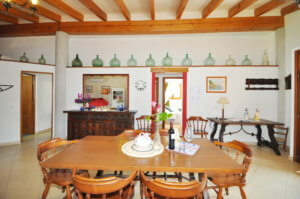 Country house with private pool close to Pollensa Bay, only 3.5 km from the beach. The house is arranged on one floor and has a living eating room with access to the covered terrace and the pool, fully equipped kitchen open to the living room, three double bedrooms, of which one is with double bed 2x2 m. and ensuite bathroom, the other two with 2 single beds sharing a bathroom with shower. 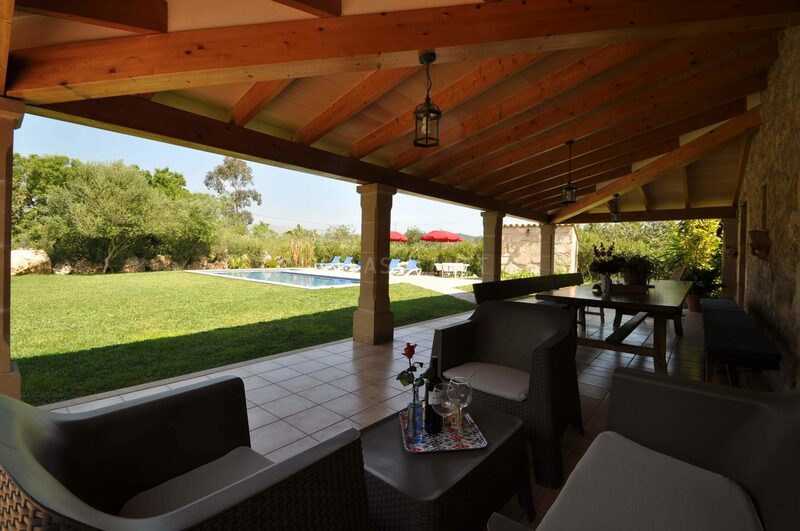 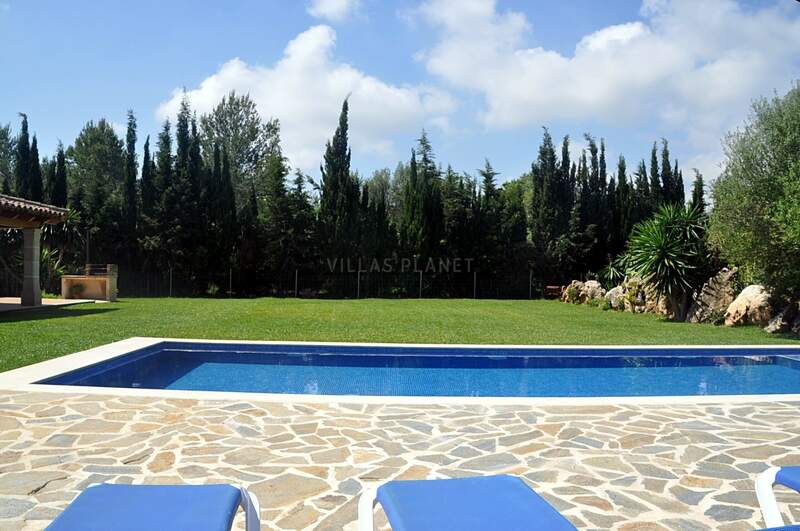 Outside a nice veranda with a large table, garden, swimming pool surrounded by lawn and sun terrace with sunbeds and parasol, outside bathroom with shower. 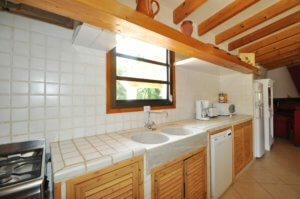 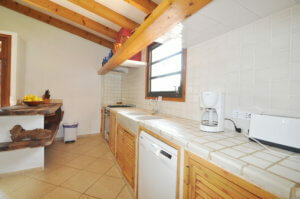 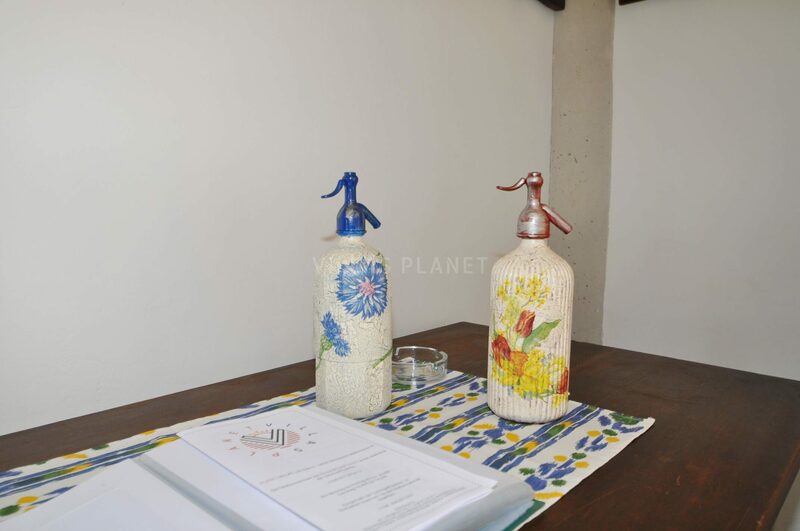 The rear terrace has a barbecue, a wood stove, terrace with table tennis and laundry room with washing machine. 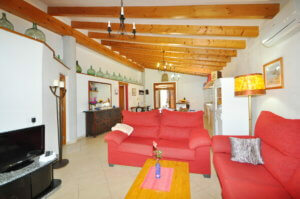 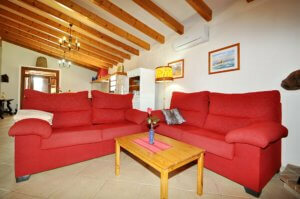 Equipped with air conditioning hot and cold, WIFI internet, SAT TV, safe, board games, cot and highchair. 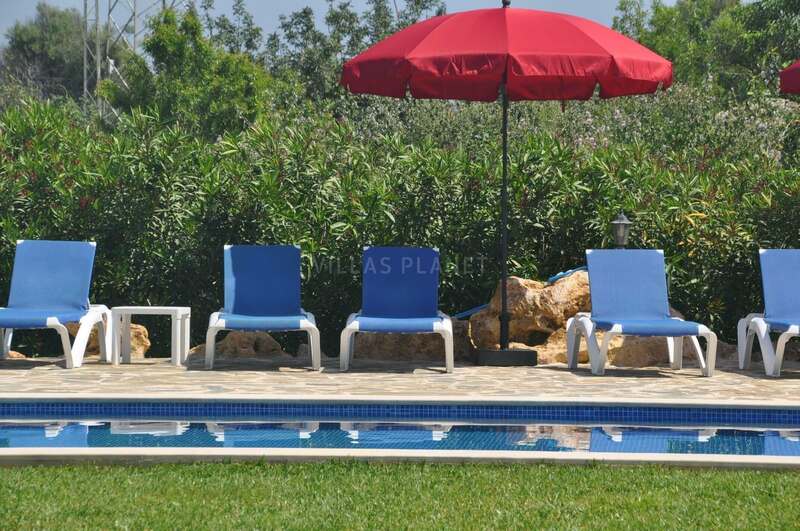 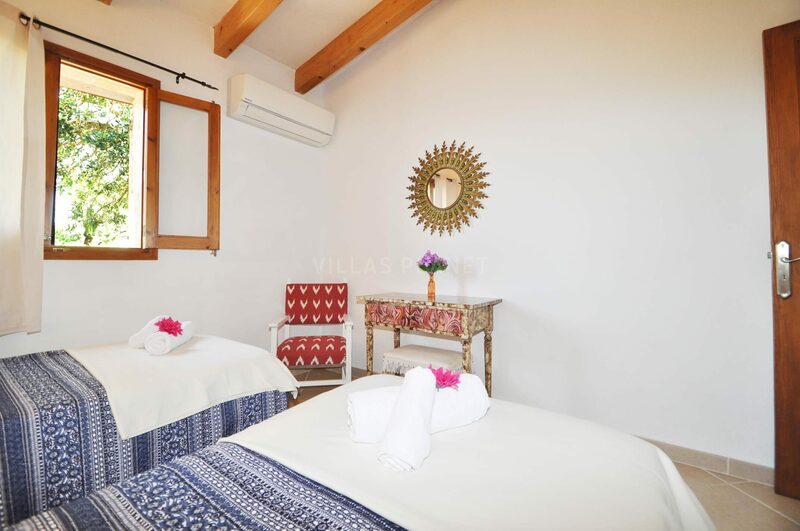 Just a few minutes by car to the beaches of Puerto Pollensa and Puerto Alcudia and 5 minutes driving from Pollensa with all amenities including shops, restaurants, etc. 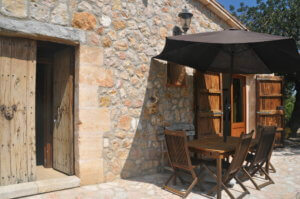 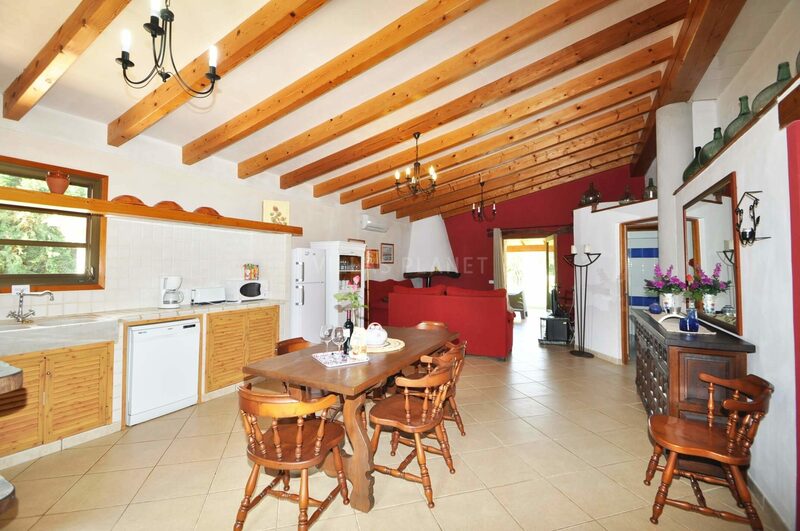 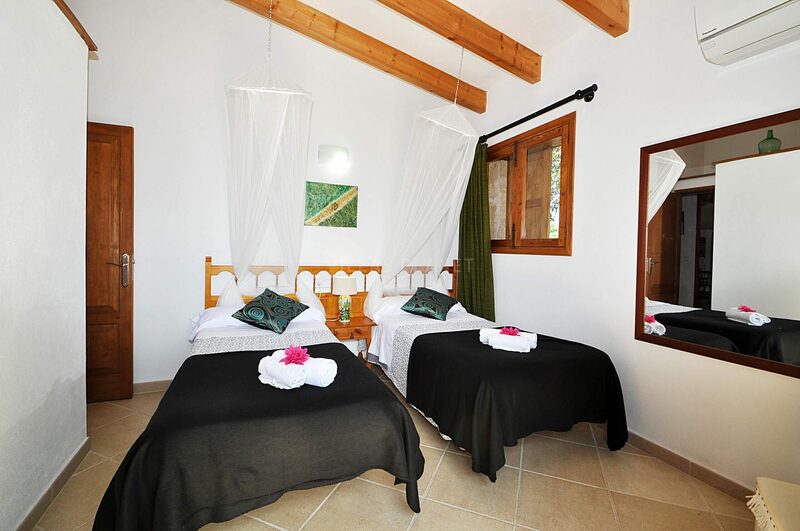 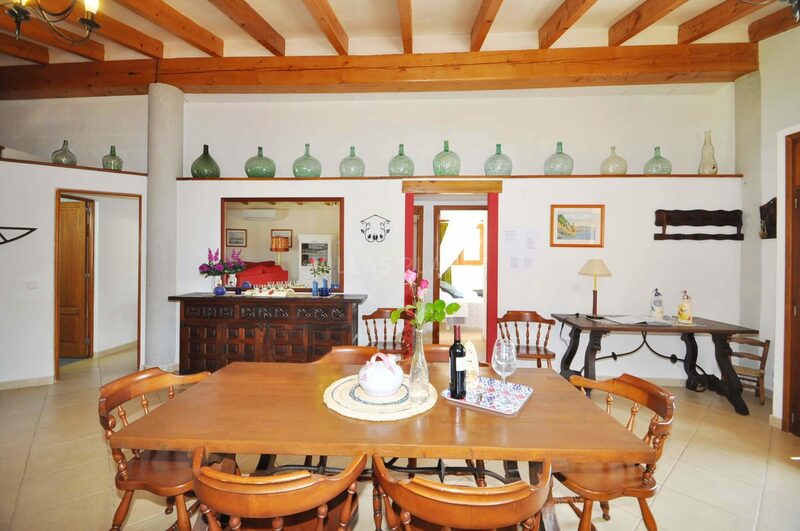 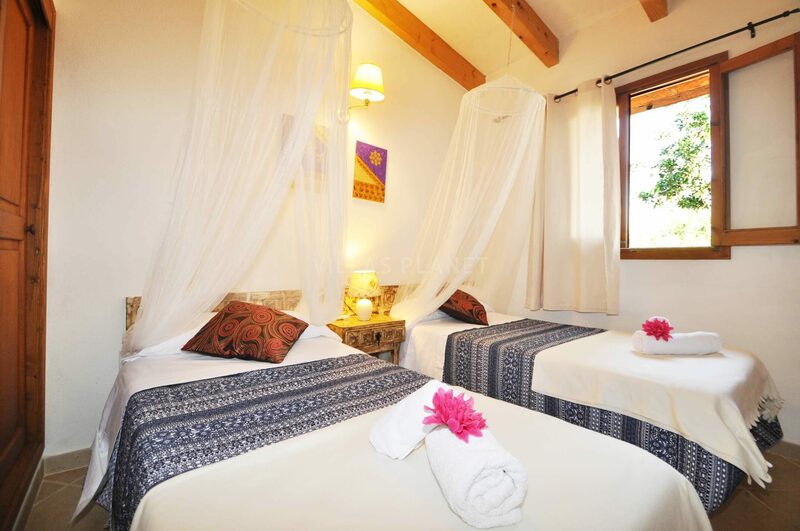 Cozy house, recommended for families with children or groups of friends, also for cyclists, walkers, ideal for a pleasant holiday!